How do schools protect young people and call on the youngest citizens to respond to violent conflict and division operating outside, and sometimes within, school walls? What kinds of curricular representations of conflict contribute to the construction of national identity, and what kinds of encounters challenge presumed boundaries between us and them? Through contemporary and historical case stud… ies-drawn from Cambodia, Egypt, Northern Ireland, Peru, and Rwanda, among others-this collection explores how societies experiencing armed conflict and its aftermath imagine education as a space for forging collective identity, peace and stability, and national citizenship. In some contexts, the erasure of conflict and the homogenization of difference are central to shaping national identities and attitudes. In other cases, collective memory of conflict functions as a central organizing frame through which citizenship and national identity are (re)constructed, with embedded messages about who belongs and how social belonging is achieved. 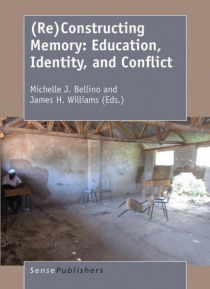 The essays in this volume illuminate varied and complex inter-relationships between education, conflict, and national identity, while accounting for ways in which policymakers, teachers, youth, and community members replicate, resist, and transform conflict through everyday interactions in educational spaces.